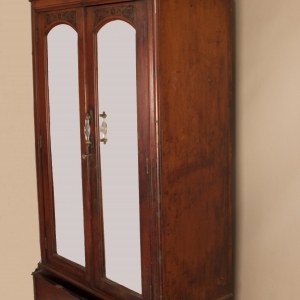 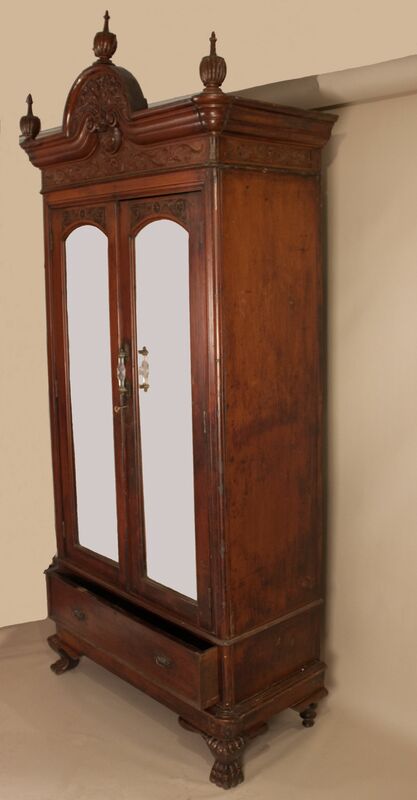 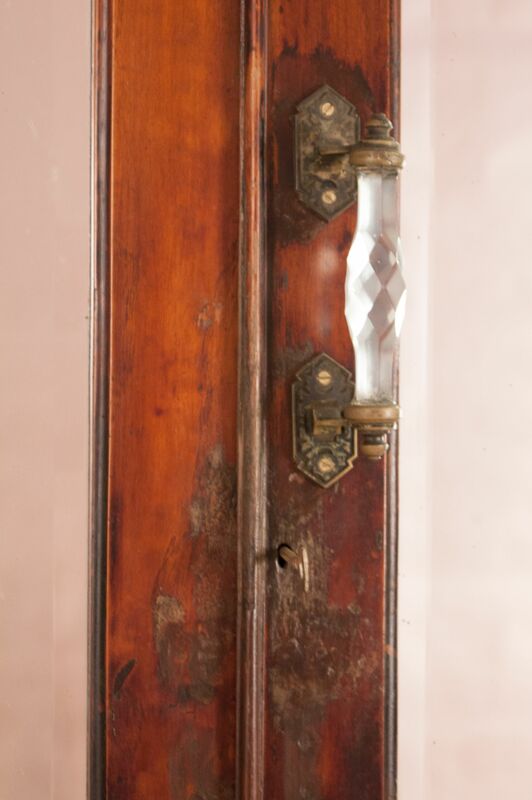 A tall and splendid piece of Anglo Raj history, this carved mahogany armoire from Kolkata, India was constructed in three pieces for ease of transport. 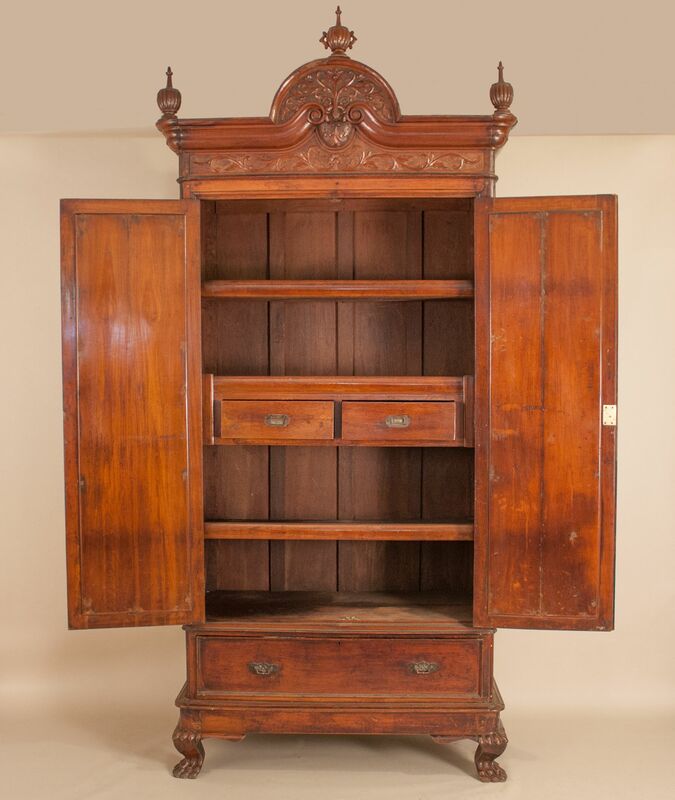 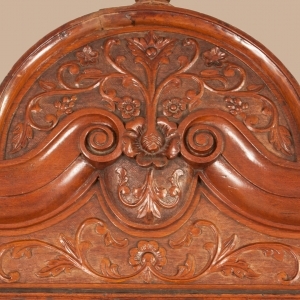 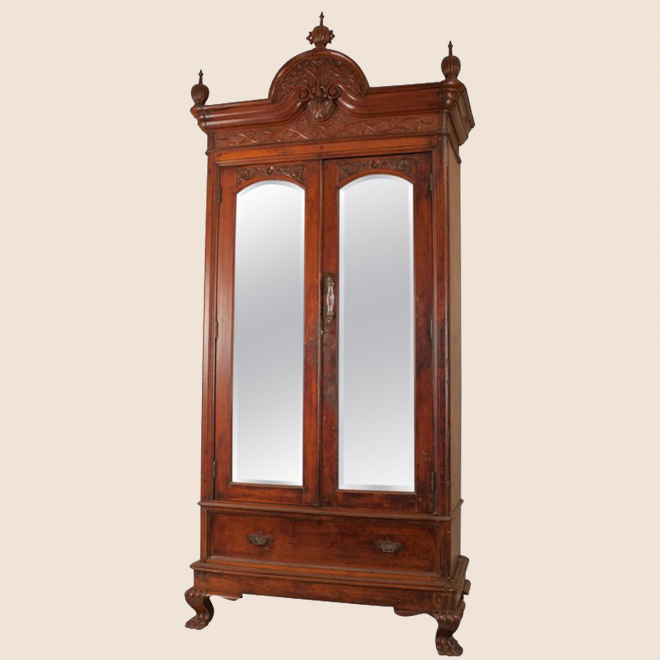 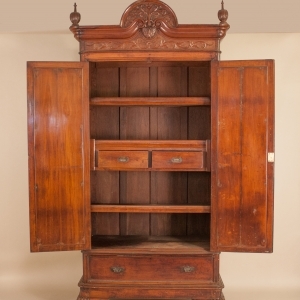 The wardrobe features a beveled mirrored center section with lock and key that opens to four shelves and two drawers inside; a claw foot base with pull-out drawer; and a carved floral crown with finials. 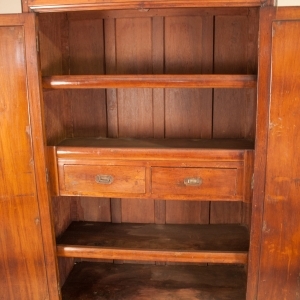 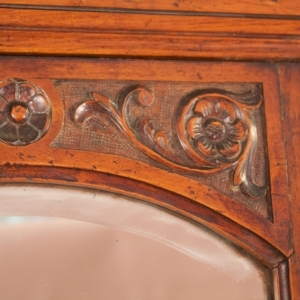 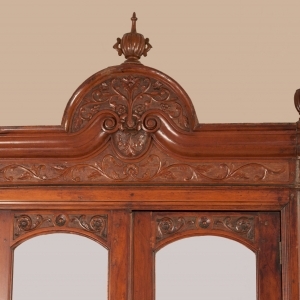 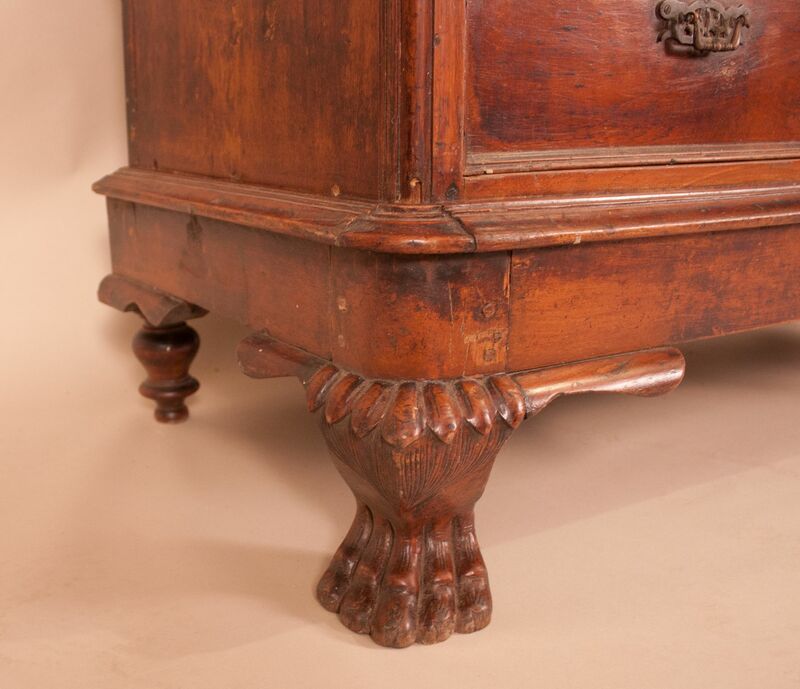 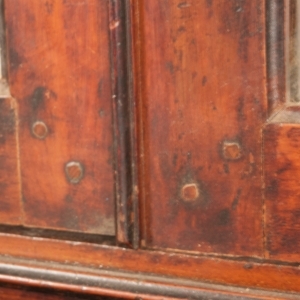 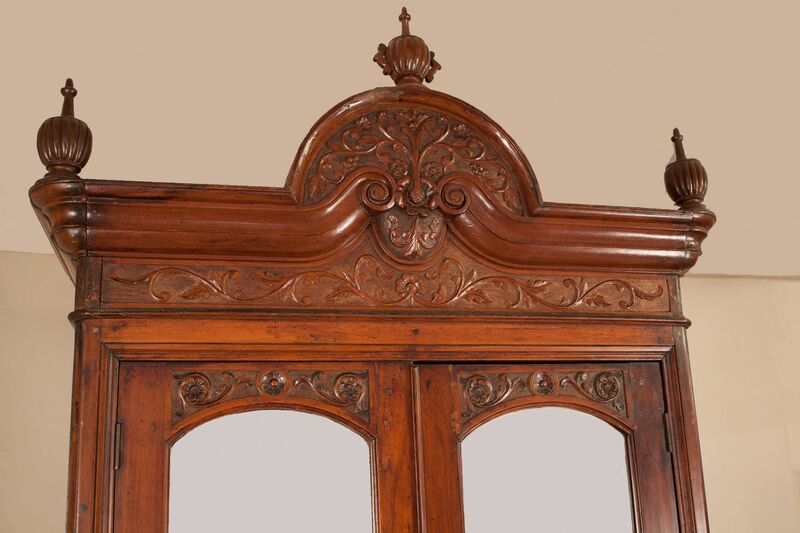 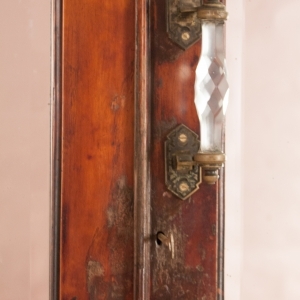 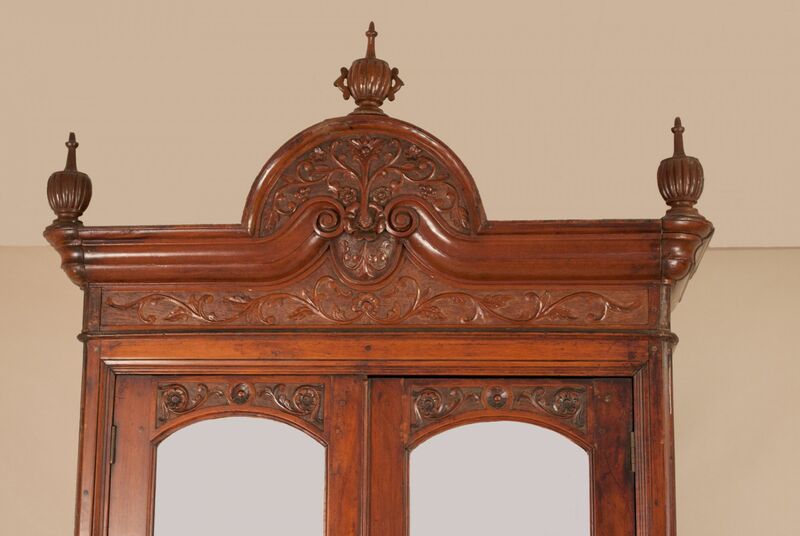 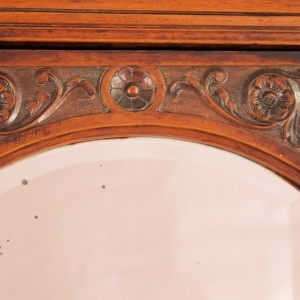 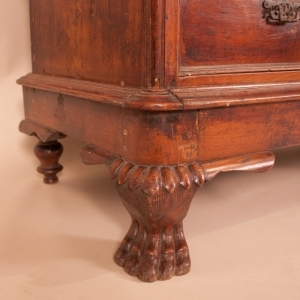 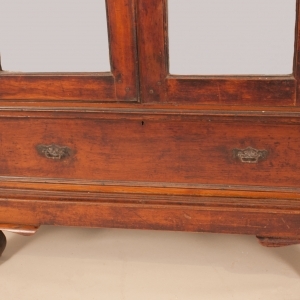 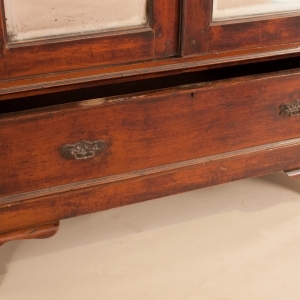 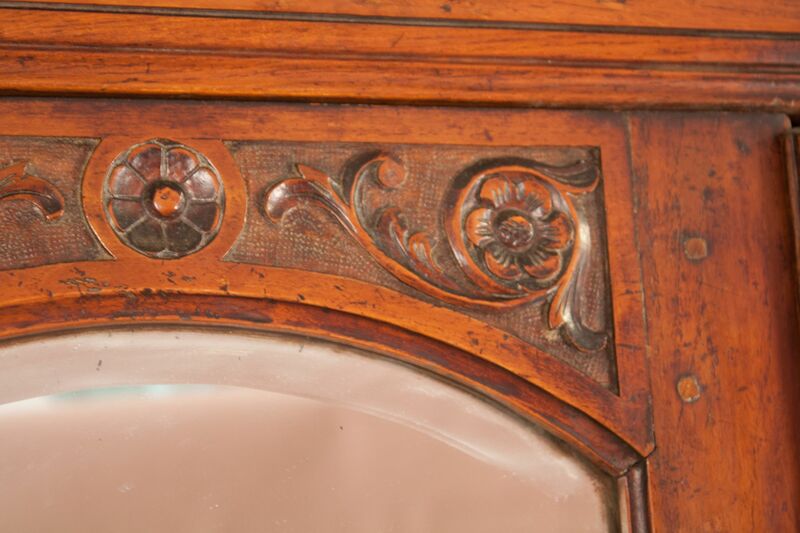 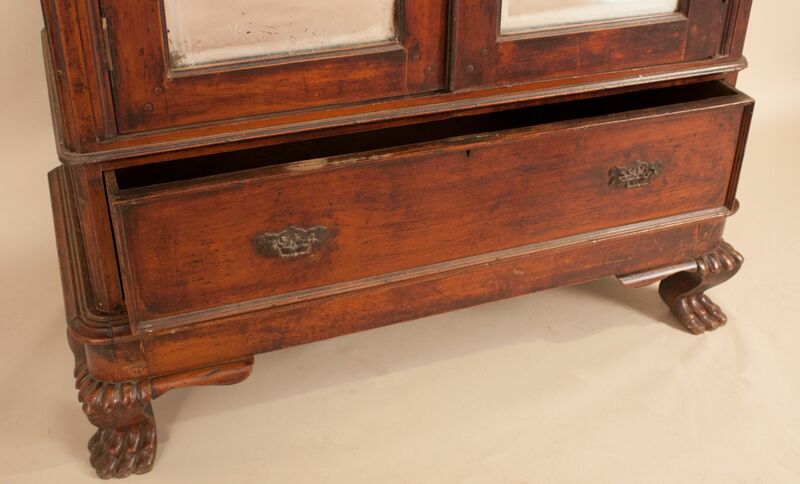 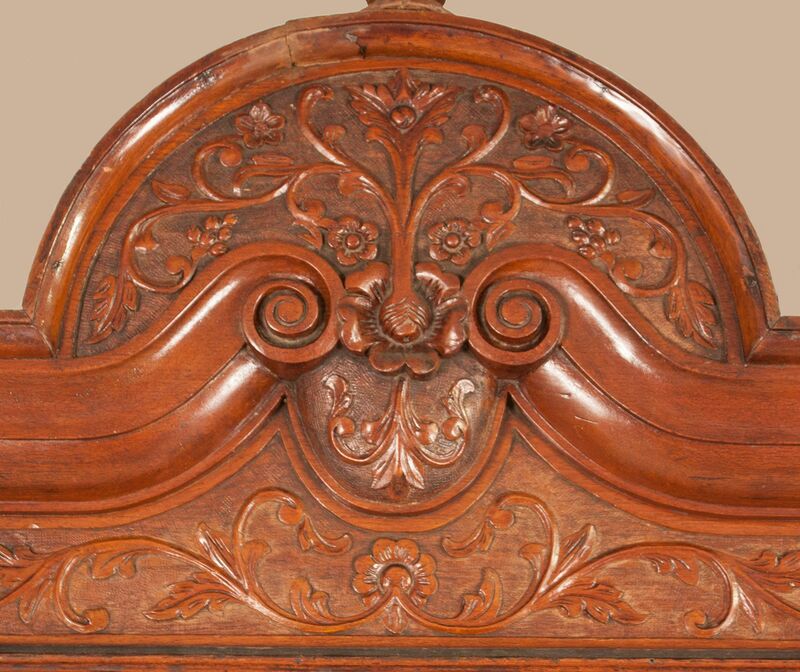 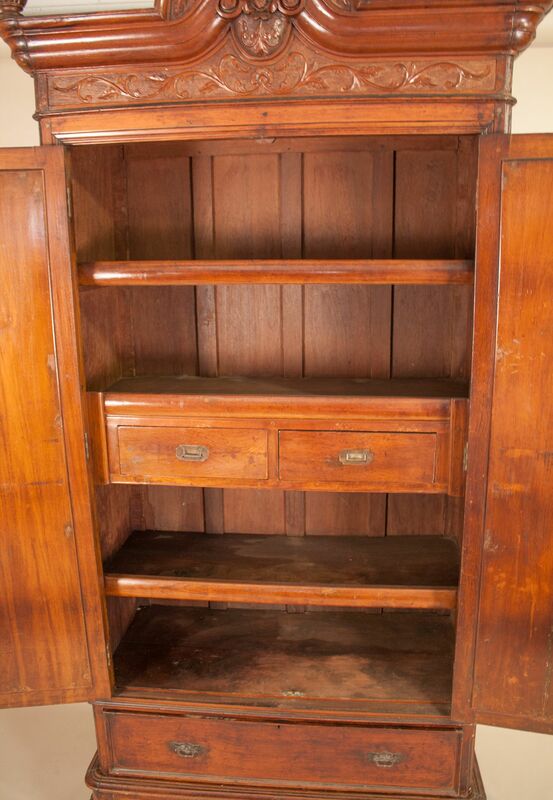 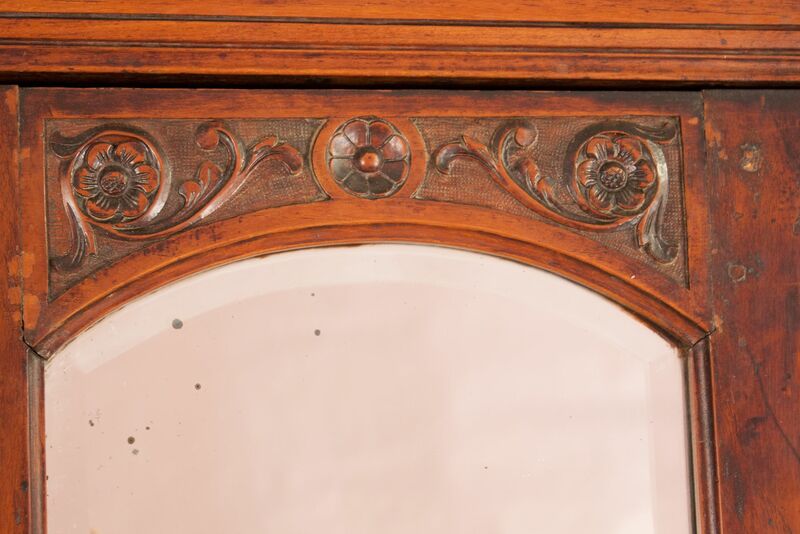 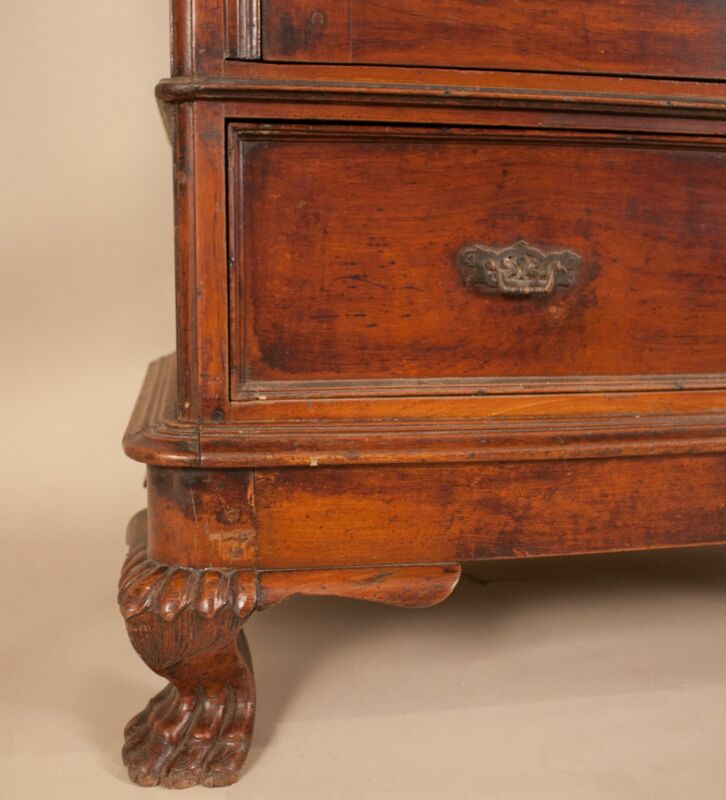 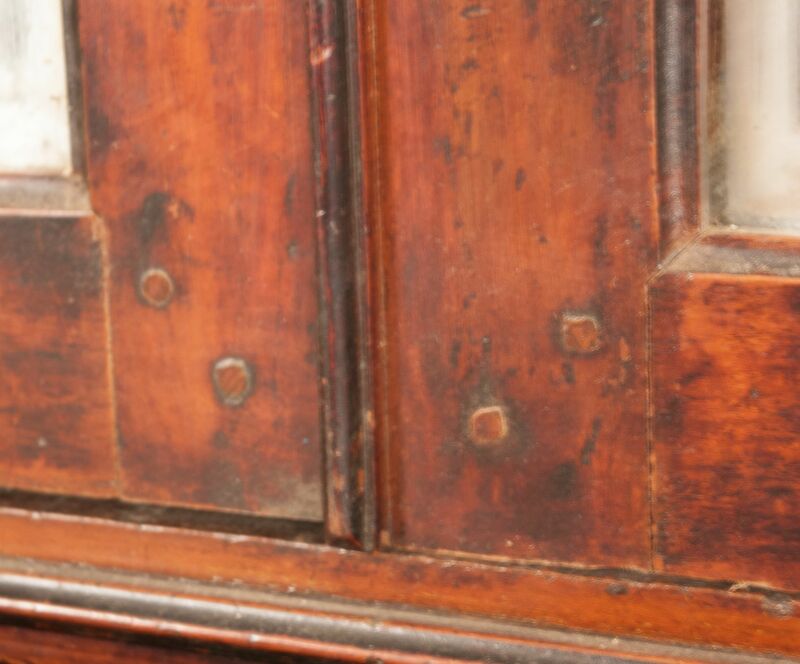 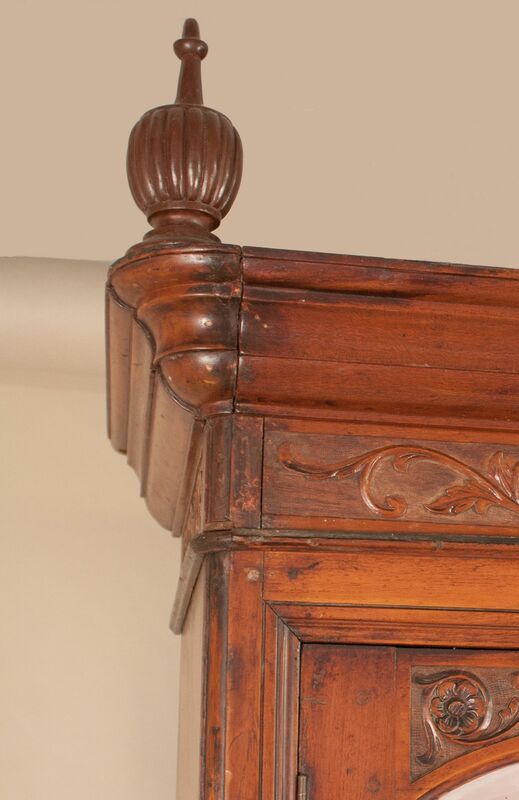 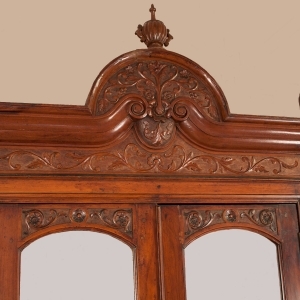 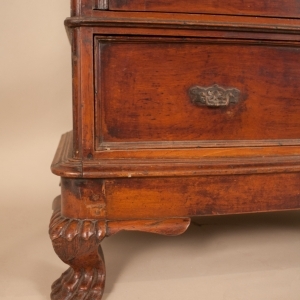 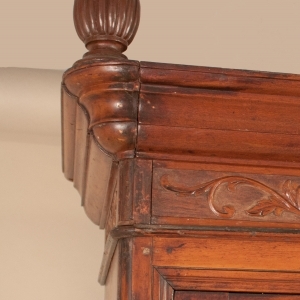 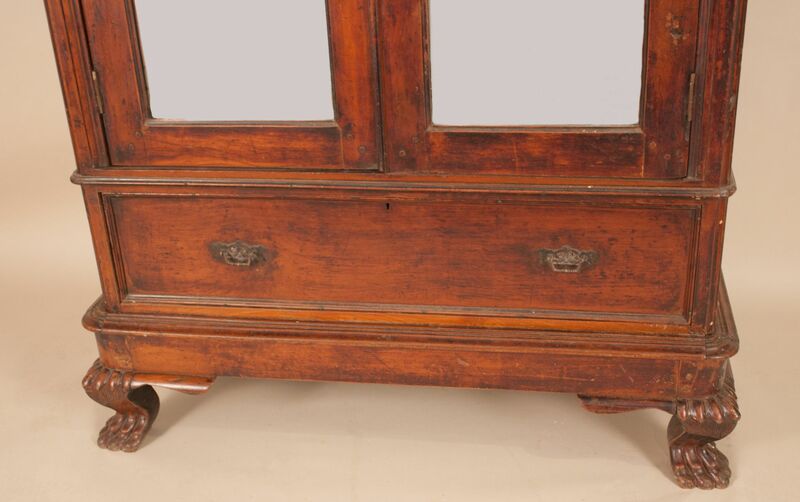 Note that the cabinet is in its original condition, with some isolated distress to the finish as well as a few expected spots and crackles in the mirror (shown in photos).